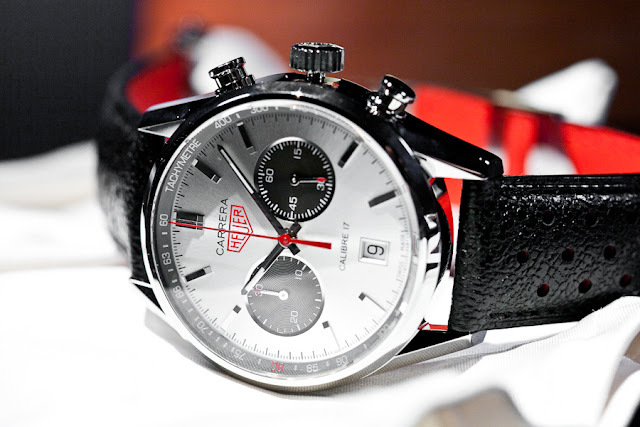 BaselWorld 2012 preview - Tag Heuer presents an exciting new Carrera model celebrating the 80th anniversary of Jack Heuer, the honorary president of the brand. 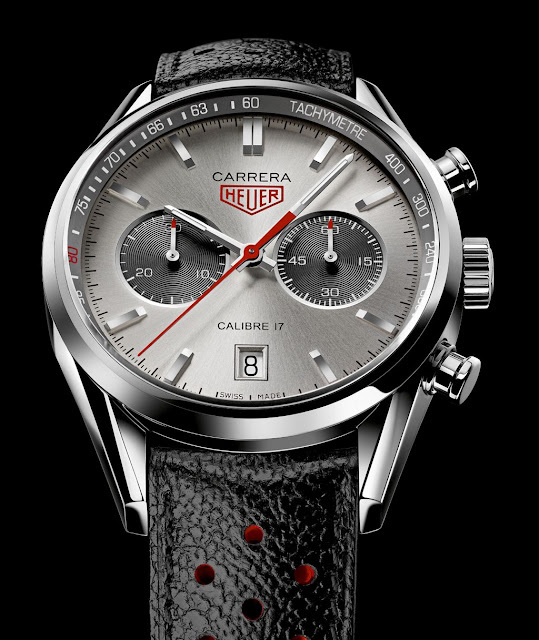 The Carrera Jack Heuer 80th Birthday Edition uses the Carrera 1887 case with a traditional bi-compax chrono layout. The movement is the automatic Calibre 17 beating at 28,800 vph and offering 42 hours of power reserve. The model uses the Heuer logo - without Tag - on the dial. 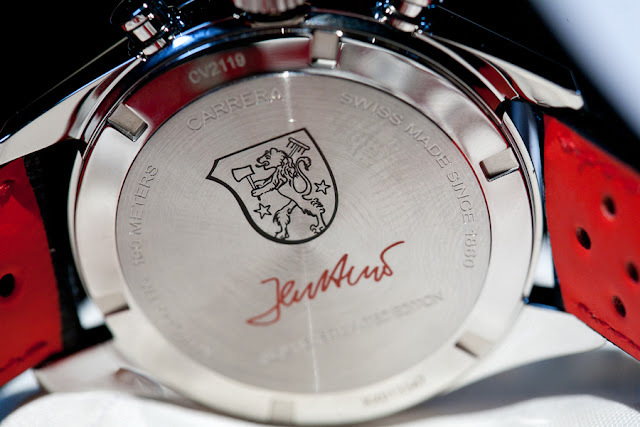 On the back, the Heuer family crest and Jack Heuer’s signature. The black calf strap comes with a red soft rubber lining. 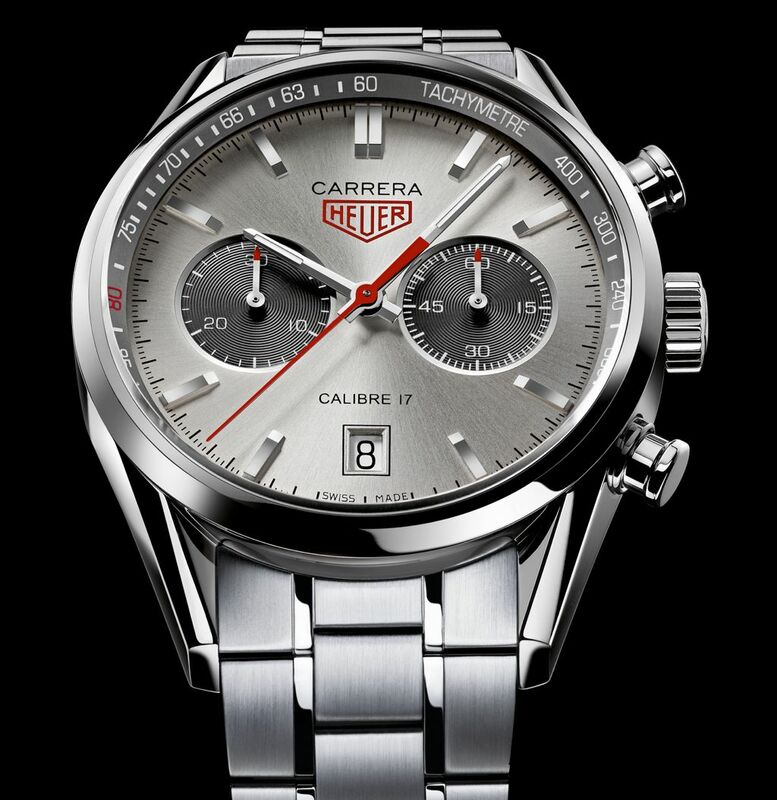 The Carrera Jack Heuer 80th Birthday Edition is also available with a brushed/polished bracelet.